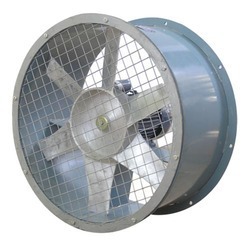 The Axial Flow Fan are manufactured in several duct casing styles made of galvanized sheet steel. The axial impeller is made of aluminum casting or reinforced plastic blades and directly mounted on the shaft of an IEC standard motor placed in the air stream. We have firmly positioned ourselves as a leading manufacturer, trader, retailer and supplier of High Pressure Axial Flow Fan. These perfectly engineered axial flow fans are widely used in various industries for several applications. We provide these axial flow fans to our customers after precise quality tests. 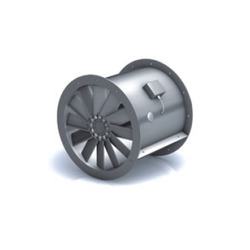 These axial flow fans are manufactured using top grade material in accordance with market standards. Looking for Axial Flow Fans ?